"His story is an inspiration, but the way he conveys it is inspirational!" Michael is a much sought after motivational speaker. He tailors his speaking to suit each audience and specialises in inspiring delegates to become more aware of their gifts and talents and how to use those gifts to become the best they can possibly be. In essence, Michael encourages and carefully shows his audience that they are capable of changing the world, bringing the best out of themselves and of those around them. Michael also inspires his audience with insights into leadership and maximising team performance, thereby attaining the best possible outcomes for the team. Michael also uses his own examples of rising above a fostered and institutionalised childhood, and struggling academically at school, to eventually going to university where he was the recipient of $160,000 for postgraduate study, including PhD and Medicine scholarships. Combined with this, Michael uses the remarkable experience of riding his pushbike all the way around Australia, a distance of 14,000 km, to raise money for children suffering cancer, as a source of inspiring others. Using high-quality multimedia presentations and calling on examples from high-achieving, world-changing leaders and innovators, Michael’s audiences are inspired and motivated to be fulfilled with who they are, to be the best at what they do and to become world-changers themselves. Building emotionally resilient children and teenagers. Raising levels of self worth and commensurate levels of self confidence. Time-honoured truths that lead to success and fulfilment in life, both professionally and personally. "I recently heard Michael Davey deliver a powerful and highly moving keynote at the ‘Tell Someone Who Cares’ Conference at Darling Harbour, Sydney. Michael has that rare ability to provoke and entertain, leaving his audience with so much to take away. I would urge everyone to hear Michael at least once in their lives as it could well change the way they decide to live it!" International Keynote Speaker, Author, Broadcaster. 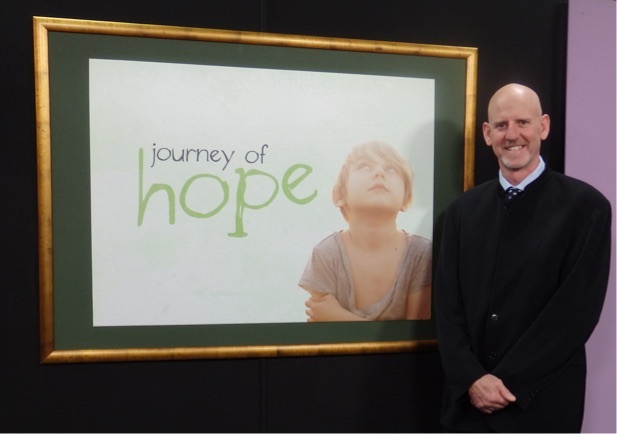 "Dr Michael Davey spoke brilliantly at RAAF Base Williamtown during the ‘Stay Connected’ Mental Health Conference, 2014. Michael’s ability to relate to a broad audience was outstanding, speaking to both leaders and individuals throughout the day. He had everyone’s attention for a full 60 minutes of each session. I highly recommend Michael as a speaker at any occasion." Former Squadron Leader Sam Hays. "The room was captivated by Michael’s presence, words and story from beginning to end. His achievements and outlook on life is a testament to him and his ability to overcome insurmountable odds, sorrow and tragedy. This alone would have left the delegates inspired and quite in awe of what he has accomplished, yet for many this is not only what stood out for them."